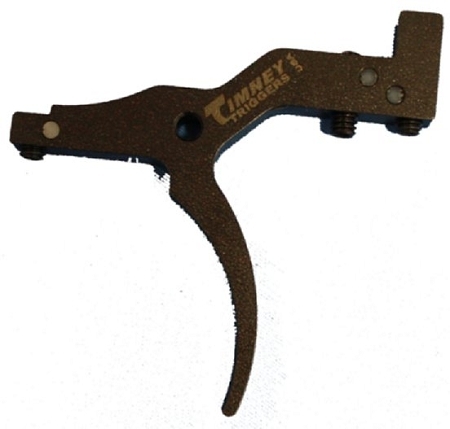 The new Timney Savage for the Accutrigger (Model 638 and NP 638-16) is machined from case-hardened solid steel and is fully adjustable for pull weight, sear engagement (creep) and over-travel. The trigger's pull weight can be adjusted from 1.5 - 4 pounds. Illustrated Instructions are included. We have these triggers in blue or nickel finish. For compatibility info, please visit Timney's webpage. I really liked the Accutrigger in my Savage 10FLCP-SR and my 12VLP and they worked well but I wanted a cleaner break so I started looking for an alternative. 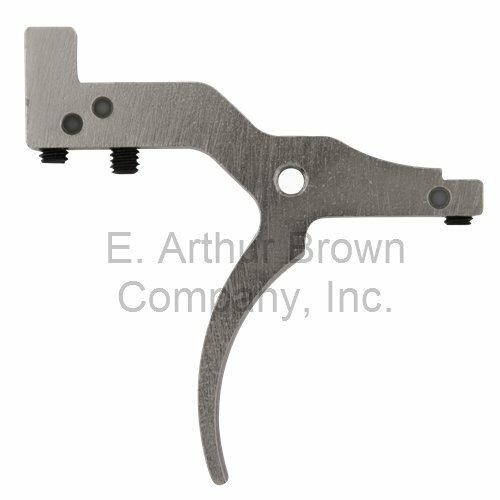 Since I already had a Timney in my 700BDL I checked their website and found the Accutrigger replacement. I watched a video on YouTube and saw how easy it was to install and bought two from eabco.com. Installation took about 30 minutes on the first one but only because I wanted it to to work perfectly and it did. The second one took 15 minutes from start to finish. I adjusted both to 1.5lbs pull and headed to the range. What a difference! Accutriggers are probably the best factory trigger but the Timney is better. You will not be disappointed PERIOD! FYI if you get one watch the video on YouTube before installing since Timney left one step out of the installation and that is how to adjust the safety. It's simple to do but the instructions never mention how to do it. Buy a Timney and buy it from eabco.com. What a great trigger, sure will use them on all my rifles. Service was excellent. Thanks again, have a great fourth of July. For me this trigger is pretty good, but not great. It has decreased the pull weight, but it doesn't have a crisp, consistent break. I have 2 of these on different savages, and they work the same as described. Easy to instal and adjust. I guess I was expecting the same quality of pull that I got from a timney, calvin elite that I put in a Remington.